In December 2017, Congress passed and the president signed the Tax Cuts and Jobs Act (TCJA), which contained what many describe as the most significant changes to the tax code since 1986. 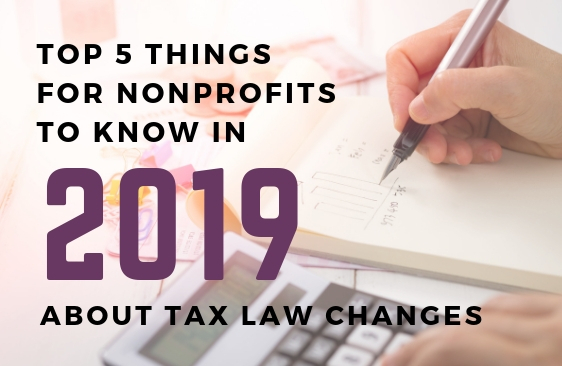 During 2018, we received many questions from our nonprofit clients about the implications of these changes for their donors. 1. What is the most significant tax law change that could affect the short-term philanthropic planning of our donors and, therefore, our annual giving program? The 2017 tax law change nearly doubled the standard deduction for individuals (from $6,350 to $12,000 and from $12,700 to $24,000 for married couples filing jointly). This means that fewer taxpayers will claim itemized deductions. Research has shown that those donors who claim itemized deductions are more likely to give consistently (should we say that this may be correlation rather than causation). In the recent past, approximately 30% of taxpayers have claimed itemized deductions. As a result of the tax law change, it is estimated that approximately 15% to 20% of taxpayers will continue to itemize their deductions. Over the years, we have all seen gimmicks promising to be the “silver bullet” in fundraising. However, there are no new quick solutions to solve your fundraising problems. Successful fundraising takes the right blend of art and science that matures over time with persistence and planning. In short, it’s matching the right person with the right cause and then growing that relationship. I usually answer that question by stressing that an organization’s best donors and prospects are likely already in their database. You should maximize every opportunity to grow relationships with those people first! So, who are they and how do you identify them? Donor-advised funds (DAF) continue to be a popular way for individual donors to manage their philanthropy. DAFs are not a passing trend and are, in fact, here to stay. According to the 2014 Donor-Advised Fund Report, issued by National Philanthropic Trust, as of 2013, more than 217,000 DAFs had been established, which is a 34 percent increase in just seven years. In that same year, DAFs granted $9.66 billion to charitable organizations, and more than $17 billion was contributed into these funds. With this in mind, it is important to understand the basics about DAFs to better prepare your organization to work with individuals who have DAFs. Happy New Year! Is Your Development Operation Ready for 2015? It is hard for me to believe that it is 2015. It just feels that time is moving faster and faster. We can’t do anything to slow down the calendar, but you can spend some time now to help position yourself and your development operation for a great 2015. So, I have been on a soapbox lately about a practice that we fundraisers often do – we role play the “ask” meeting. 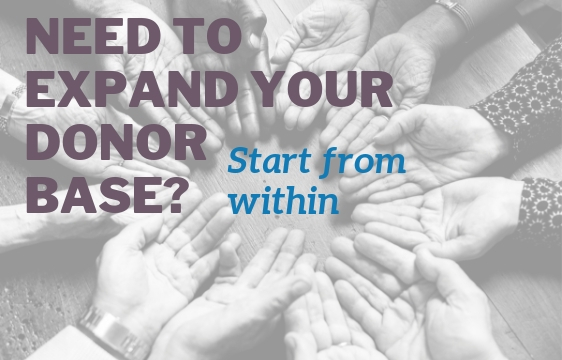 You know the drill – pair off and one of you be the donor and the other the solicitor. Then switch. Then debrief. My friend Marti Healy writes a bi-weekly column for a South Carolina community newspaper. Recently she wrote about the dog version of hugging – leaning – and how we humans have a lot to learn from dogs about “well-timed, good and proper” hugging.